No need to worry about those annoying tan lines with these strapless and stylish swimsuits. Traveling to a warm, exotic honeymoon destination is a good reason to get new swimwear. 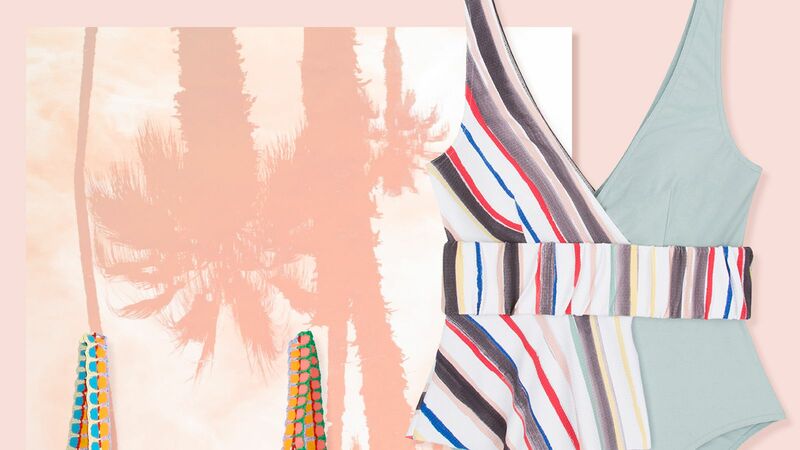 Here are a few chic and functional ways to wear a one-piece swimsuit in real life. Eight pieces of jewelry that will pair perfectly with your swimsuit. Not sure where to buy swimsuits in the winter? 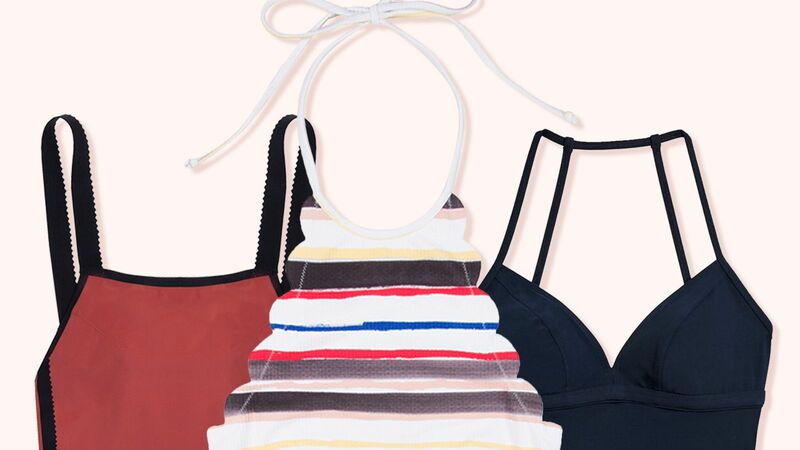 Read on to discover the best places to find bikinis, one-pieces, and cover-ups during the off season. "Mesh Tank One-Piece One-Piece Swimsuits & Monokinis - Brown"
"Open keyhole back with moderate rear coverage. High neck styling with peek-a-boo mesh panels Removable shaping cups"
"Mesh Tank One-Piece One-Piece Swimsuits & Monokinis - Black"
"Mesh Tank One-Piece One-Piece Swimsuits & Monokinis - White"
"Scalloped Mesh One-Piece One-Piece Swimsuits & Monokinis - Pink"
A sheer midriff brings mystery and sophistication to this one-piece from Dkny. A removable strap lets you vary the look. "Mesh Tank One-Piece One-Piece Swimsuits & Monokinis - Blue"